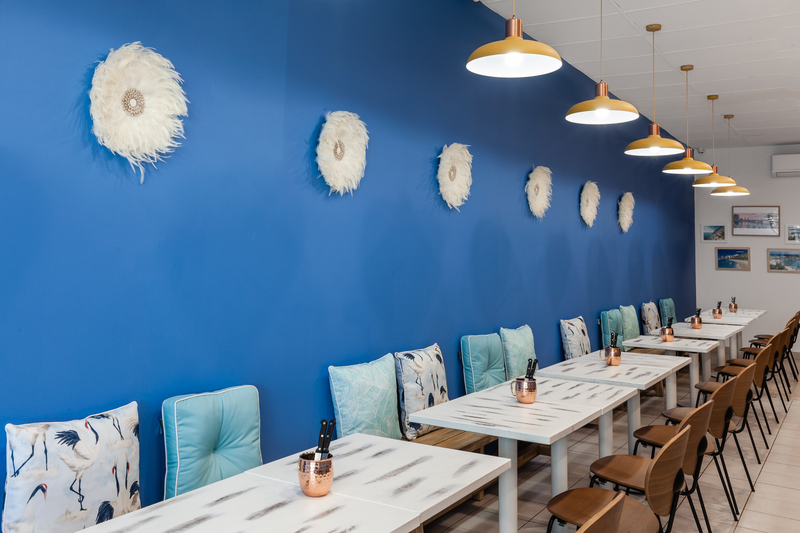 With Stanley Burgers our clients wanted to recreate the feelings evoked from visiting their favourite beach in Alexandria, Egypt, called Stanley Beach. This beach also has a beautiful architectural bridge called Stanley Bridge. 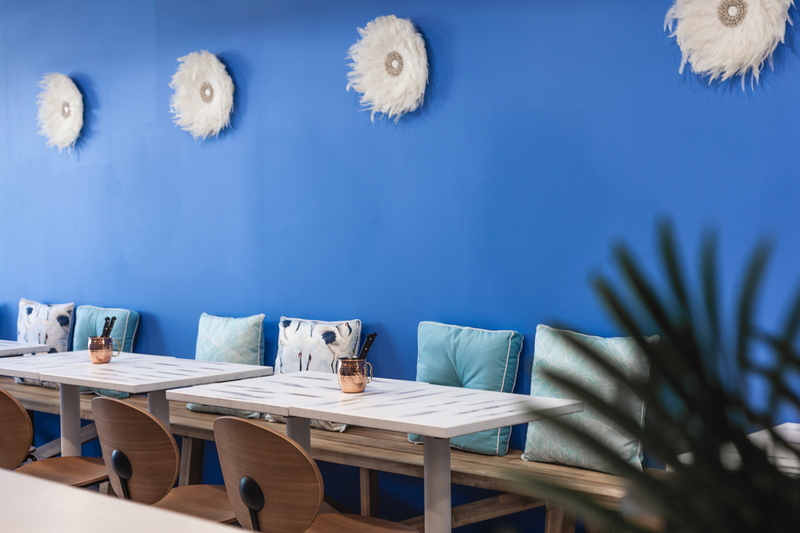 This part of Egypt has a rich history with lots of inspiration to draw on to create a space that reflects modern beach vibes by taking a cue from an ancient beach location. 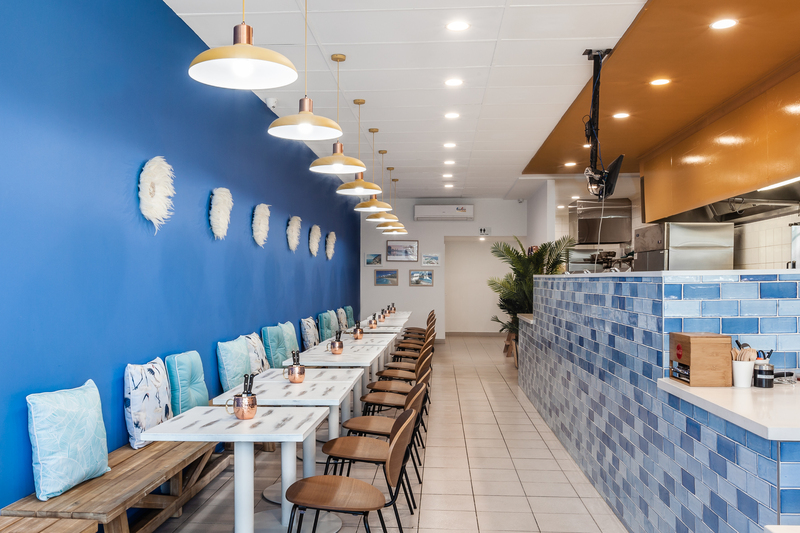 Our design strategy for Stanley Burgers was based on the colours, shapes and textures of beaches worldwide with a specific focus on Stanley Beach in Alexandria, Egypt where we noticed a copper colour found in Stanley Bridge itself and the beautiful sunset. 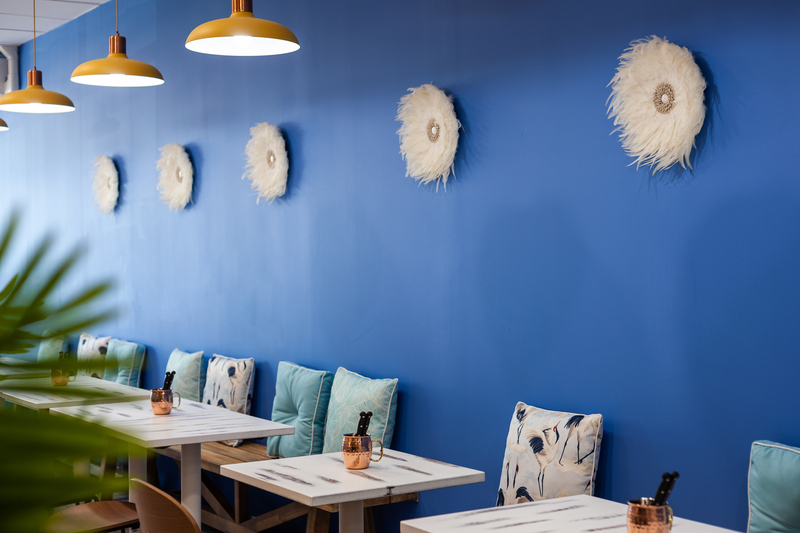 We used classic coastal colours such as blue and yellow and added some fun and uniqueness through the installation of the juju hats, which has a dual conceptual purpose, firstly to represent clouds and secondly to reflect beach bird life such as seagulls. 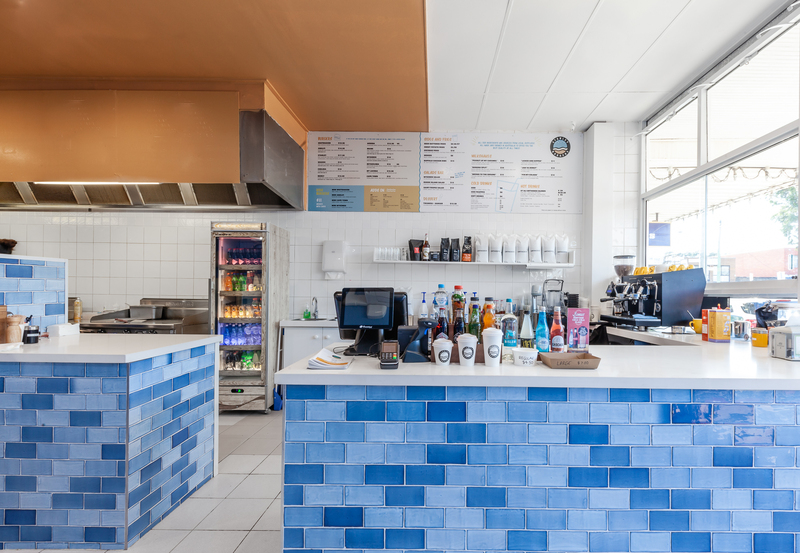 The striking counter aims to recreate a ‘sea of blue’ with a beautiful blue white wash tile that communicates all the different shades of blue you can find in the beaches represented on the menu as well as the white foam of the surf in beaches such as Bondi and Waikiki. 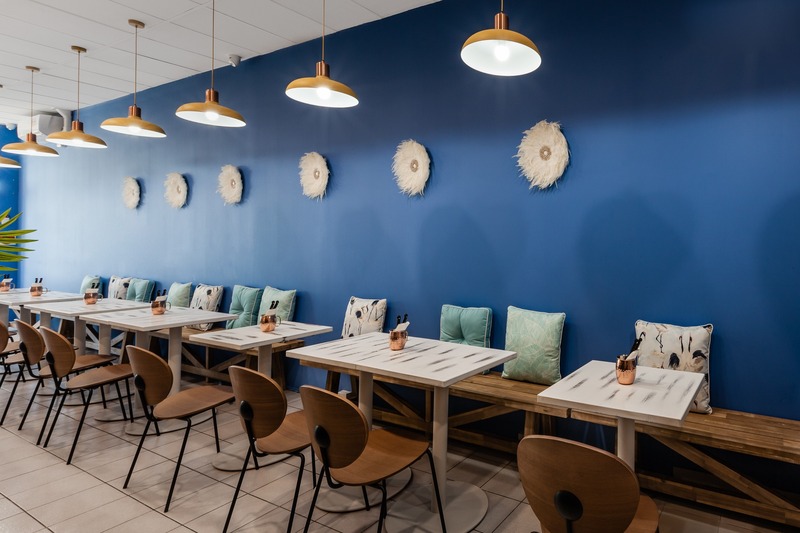 The styling aims to be more than coastal but conceptual too without losing the fun atmosphere and relaxed vibes you get on a visit to the beach.